Gig poster created for Band of Horses's 2018 summer tour. 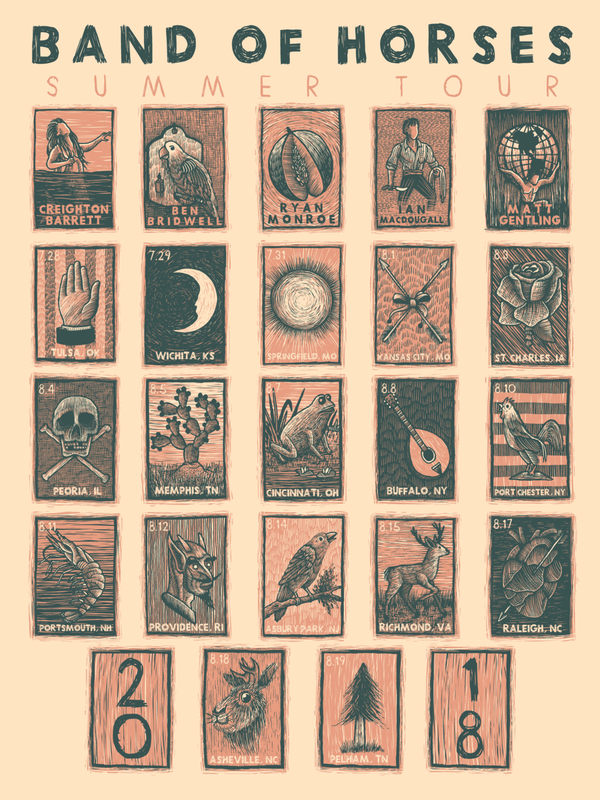 The band (of horses) was very specific in what they wanted the poster to be, basing the designs off the Latin-American game of loteria. Similar to bingo, but using cards instead of bingo sheets. We'll have some AP's up for sale once the tour wraps up!